Howard County government continues to find ways to conserve and innovate. Howard County has had many successes making operations more sustainable and engaging the public. This page outlines some highlights in the areas of Energy, Food & Agriculture, Land, Recycling & Waste, Water, and Community. See something that interests you? Visit the corresponding section of this website to learn more. Saving energy is one of the best things a local government can do – both for the environment and the budget. Howard County strives to be a leader in energy efficiency, renewable energy, and efficient transportation. These efforts save money and reduce our impact on the local environment and global climate. The solar PV system on the East Columbia branch of The Howard County Library generates enough energy to power 913 homes for one day, and avoids emissions equivalent to those produced by 2076 cars in one day. Solar panel arrays installed at the re-purposed New Cut Landfill supply 90% of nearby Worthington Elementary School’s energy needs. Wilde Lake Middle School became the first net-zero school in Maryland. Net-zero means that the property generates more energy than it uses. It does this by being very efficient and creating solar energy. The County property tax credit program for renewable energy systems, such as geothermal and solar, provided 565 credits totaling over $2.5 million to make these systems more affordable for homeowners to install and kick start the renewable energy industry in the region. Howard County established recommendations on how to install solar on historic properties, thus preserving the character of the structure while allowing for renewable energy generation. The Alpha Ridge Landfill gas-to-energy system generates 1 MW of energy every hour – enough to power 500 homes for a year. Energy performance contracts for seven County buildings with the highest energy consumption reduced energy used by those buildings by over 20%. The project saved so much energy that the County added all other buildings, saving even more. The County installed sub-meters in 40 buildings to analyze energy usage and inform appropriate adjustments to equipment. Closely monitoring energy use helps to target energy savings and avoid peak demand costs. Howard County provided 1,200 free home energy audits for County residents. These comprehensive audits recommended to homeowners the most cost-effective measures to reduce their energy bills. Using information from the home energy audits, the County now has a database of energy efficiency recommendations specific to different types of homes. This information will help residents find cost-effective options for saving energy and money. Howard County Libraries loan residents “Kill A Watt” monitoring devices to measure the electricity consumption of appliances. Howard County was the second county in the country to sign on to the U.S. Mayor’s Climate Protection Agreement in 2007. As part of our commitment, Howard County completed a greenhouse gas inventory of County operations and the surrounding community and committed to reducing emissions by 7%. The County exceeded the goal of reducing emissions from County government facilities by 7% below 2007 levels by 2012. In 2015, Howard County updated its Climate Action Plan. This update tracked progress towards the goals and outlined future actions to reduce emissions County-wide. 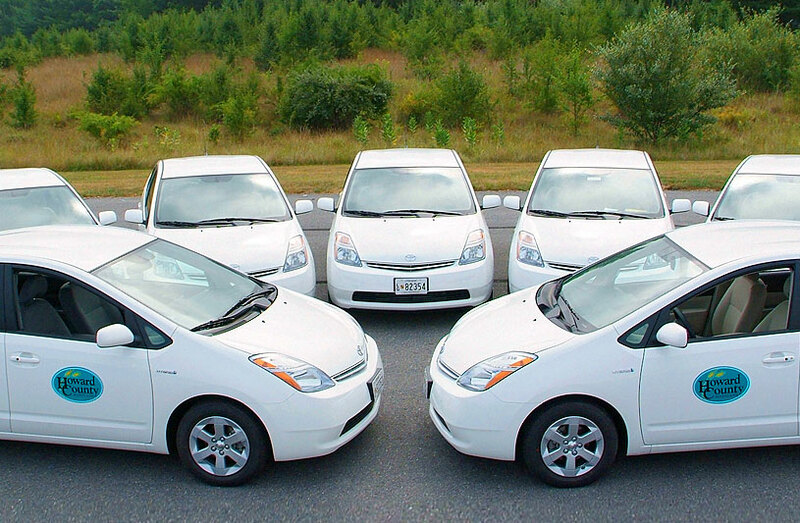 Howard County government operates one of the largest alternative-fueled vehicle fleets in the state, including 106 hybrid vehicles, and five electric vehicles. Howard County Transit operates 28 hybrid vehicles – the Azure CitiBus – as a clean, fuel-efficient alternative to conventional shuttle buses. These buses have efficient features such as engine-off at stop functionality and regenerative braking. Use of the hybrid Azure CitiBus as part of the County’s fleet improves fuel economy by up to 50% while reducing greenhouse gas emissions by up to 30%. This environmentally responsible solution further saves money by reducing vehicle maintenance by up to 30%. Howard County has three buses powered by an inductive charger. The buses’ batteries are re-energized without having to be plugged in. The buses operate on Howard Transit’s Green Route which is the most heavily used line. In 2017 and 2018, Howard County implemented a bikeshare pilot program for Downtown Columbia and Ellicott city with nine stations and 78 bikes. Howard County has also upgraded transit buses to clean-diesel, replacing older, less efficient vehicles. The County operates five charging stations for electric vehicles. Howard County has several programs that work towards increasing the economic and environmental sustainability of local farms. Approximately ¼ of all Howard County lands, or 40,000 acres, are farmland. Howard County specifically has a diverse agriculture industry of 335 farms. Howard County’s Roving Radish program sells 6300 Roving Radish meal kits each year. The program purchases food from local farms as part of healthy meal kits. 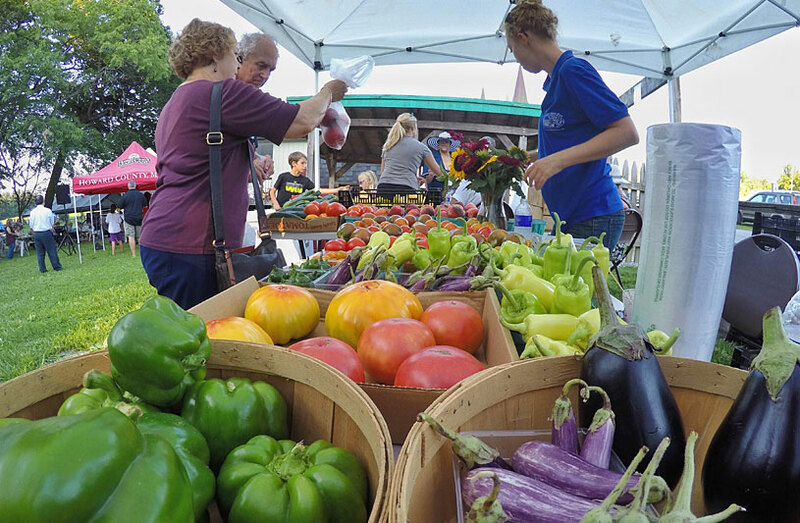 Howard County’s Farmer’s Market locations offer a cornucopia of locally grown, raised and prepared foods at different locations each Wednesday through Sunday from spring through fall. Many Howard County restaurants work closely with our local farms to serve locally grown produce, cheese and meat in our Farm to Table program. In 2018, Howard County launched HOCO Fresh, a new Howard County program to encourage restaurants and businesses to buy produce and proteins from our Howard County Farms. Restaurants and businesses can receive recognition that they have purchased Howard County farm products at the Gold ($5,000), Silver ($2,500) or Bronze ($1,000) levels. Howard County promotes “Community Supported Agriculture” (CSA) where individuals buy “shares” in a local farm to enjoy a portion of the fresh, local and often organic produce harvested. Howard County’s Agricultural Preservation program preserves over 21,000 acres on 256 properties. The County protects more than 1,500 acres of property under conservation easements, including farmland, natural resources, scenic views, and historic features in partnership with the Howard County Conservancy, Rockburn Land Trust and Maryland Environmental Trust. Howard County practices smart growth and protects land through several programs. Howard County also plants trees on public land and encourages planting on private land. The Green Infrastructure Network helps to keep track of natural areas that support the environment. 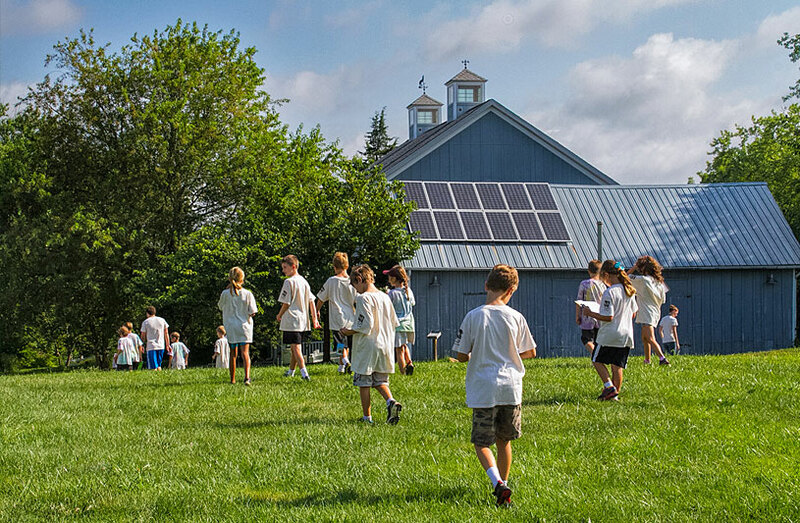 Howard County has a number of programs that promote “green” building and development. There are Green Building Requirements for large public and private buildings, Green Housing poliies for public housing, and Green Neighborhood standards. The Green Building Tax Credit encouraged the use of renewable energy such as solar and geothermal use in homes. Howard County law requires new private commercial buildings larger than 50,000 square feet to attain US Green Building Council LEED Certification and new public buildings larger than 10,000 square feet to attain LEED Silver. Howard County government is proud of our 5 LEED-qualified buildings: one certified, two silver, one gold, and one platinum. 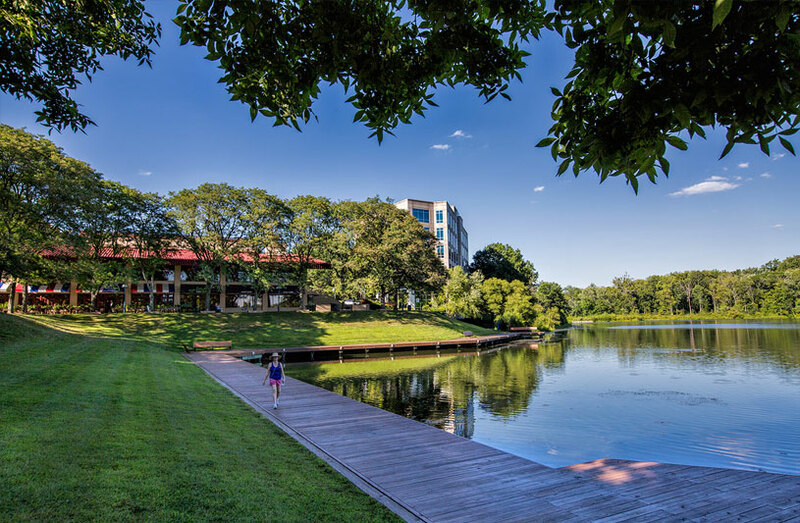 Howard County provides a five-year tax credit for new green commercial buildings that attain a LEED certification of 25 % for LEED-Silver, 50% for LEED-Gold, and 75% for LEED-Platinum rated buildings. To date, 4 private buildings qualified for the silver level credit and 7 buildings for the gold level credit. Existing buildings earn a three-year tax credit equal to 10% for LEED-Silver, 25% for LEED-Gold, and 50% for LEED-Platinum if they receive a LEED for Existing Buildings certification. New residential buildings can receive a tax credit for LEED Silver or above. This program was extended in 2017. The Howard County Housing Department and Housing Commission embrace green development for Howard County residents across the economic spectrum. Monarch Mills, is a mixed-income community built to Enterprise Green Community standards which also enjoys a clubhouse that attained LEED Gold status. The Cottages at Greenwood are affordable single-family homes built to meet the highest LEED Platinum standards and offer universal design features. Howard County Green Neighborhoods provides incentives for environmentally-friendly residential development including everything from site design, to stormwater and construction waste management, to material use. Locust Chapel was the first Howard County Green Neighborhood, Locust Chapel and Oxford Square is the second. Howard County’s Recreation and Parks Department is responsible for the stewardship of 9,159 acres of public lands as well as the maintenance and operation of more than 50 parks. The County manages open space dedicated to preserving the natural beauty, balance and function of our land in our immediate neighborhoods and beyond. Exploring Howard County parks became easier with the creation of a Visit the Park Directory and Find Your Park app. The Robinson Nature Center, a unique nature education center, offers a wide variety of environmental education experiences centered around a LEED Platinum building. Howard County has been recognized as a Tree City USA community for nearly 30 years. This recognition is through the Arbor Day Foundation. Recreation and Parks’ Forest Conservation program has planted over 85,000 trees since the program began. Over 1,000 trees and shrubs are planted each year through the Stream ReLeaf program. Since the program began in 2003, over 16,000 trees and shrubs have been planted as stream buffers. Over 5,600 acres are permanently preserved in Forest Conservation easements. Howard County’s Students Branching Out program provides the opportunity for students to plant trees on their school properties. So far, over 5,400 trees have been planted on school grounds and 2,000 students have participated. The Turf to Trees program promotes tree planting on private property. Since the project started in 2015, over 3,100 trees have been planted. Volunteers play a role in the County’s tree planting efforts – every year hundreds of volunteers install hundreds of trees and shrubs across the County. The three “R’s” have been around for a long time, but they still apply. Reduce, Reuse and Recycle go a long way toward helping the environment and being efficient. Howard County strives to be a leader in Recycling and has added a Food Waste program to tackle this challenging waste stream. Howard County also engages the public in clean-ups and litter prevention. 95% of eligible Howard County residents recycle approximately 110 tons of material at the curb every day. Howard County collects about 12,000 tons of yard trim for recycling every year. Since June 2012, 14 tons of Styrofoam have been recycled at Alpha Ridge Landfill. County residents diverted over 200 mattresses per month at Alpha Ridge Landfill through the new mattress recycling program. Approximately 350 backyard compost bins are distributed annually to county residents through a partnership with the Master Gardeners. At a composting facility at the Alpha Ridge Landfill in Marriottsville,400 tons of material a year is diverted from landfills and produces mulch, topsoil and other byproducts to be sold to the public and used at county facilities. Howard County’s innovative Feed the Green Bin program provides food scrap collection to certain areas of the County. Find out more at feedthegreenbin.org. Since 2010, over 15,500 20 Minute Cleanup volunteers have removed litter from neighborhoods, parks, schools and businesses as part of this annual spring cleaning project. The County also has an Adopt-A-Road Program and leads stream cleanups as a part of the International Coastal Cleanup and Project Clean Stream. Water is an extremely important local resource. Our health and the health of the environment depend on it. Howard County is responsible for managing stormwater, treating wastewater and improving our watersheds. Howard County started the Clean Water Howard program which provides information and programs to help residents be part of solving stormwater programs. 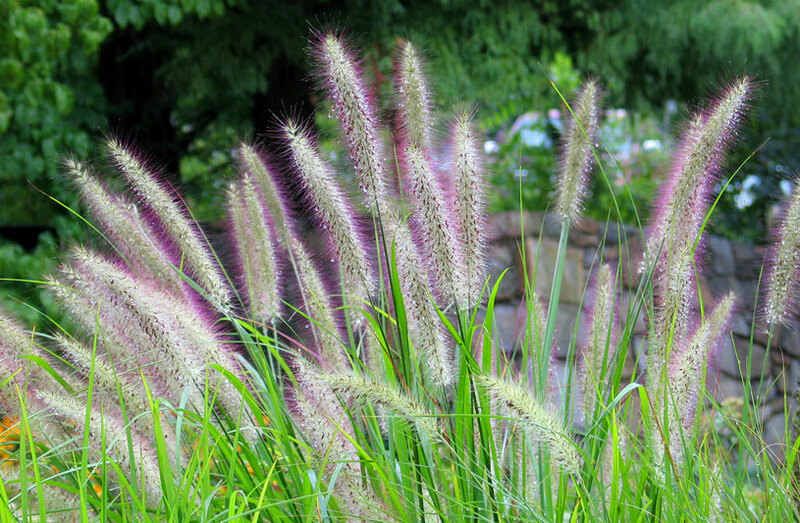 Programs include the Rain Gardens for Clean Water and more. Since 2010, over 650 free pre-drilled rain barrels have been distributed to residents during Master Gardener demonstrations and the annual Howard County GreenFest. Residents then use instructions and guidance from the Master Gardeners to add parts and make them into rain barrels. A partnership with a local hardware store makes rain barrel parts kits available at a reduced rate to residents. Two new back-up generators at the Little Patuxent Water Reclamation Plant protect the plant from power loss as occurred during Hurricane Sandy. Additionally, the plant installed a solar energy array to completely offset the carbon of the generators and partially offset the carbon emissions of the plant. 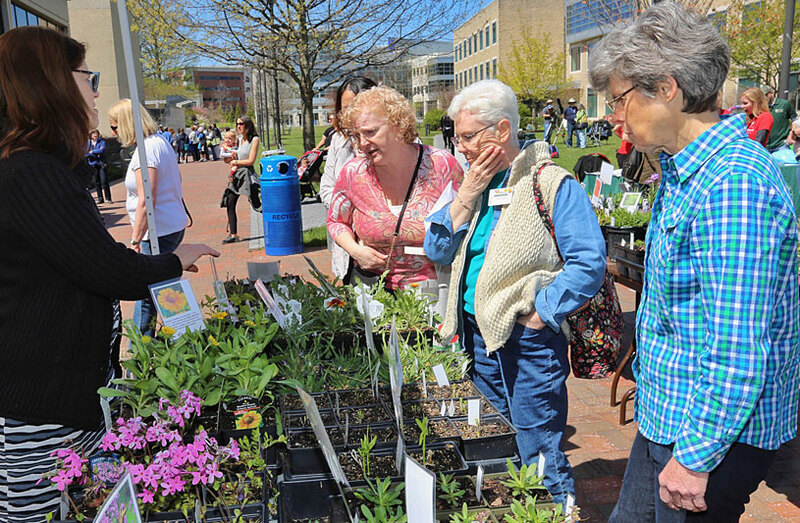 Each year, GreenFest draws about 2,000 people who enjoy workshops, outdoor activities, opportunities for learning about local non-profits and green vendors, children’s crafts and nature play spaces, giveaways and food. GreenFest also includes popular opportunities for secure paper shredding and donating reusable and harder-to-recycle items. County employees participate in numerous public events and speaking engagements. As a County, we strive to be as transparent and cooperative as possible, sharing information though newsletters, websites and social media.